As we all know, the ankle is the joint that joins the tibia and the fibula with the bones that form the foot. Sprains , of which we have already spoken to you on other occasions, are one of the most common injuries in the ankle . But sometimes, when the trauma is very strong, the ligaments are not able to maintain stability and fracture the malleoli (the most caudal and prominent part of these bones) tibial or peroneal, or both. Depending on the degree and type of fracture, the traumatologist determines whether conservative and surgical treatment should be followed. This will influence the recovery times of each person and, of course, the rehabilitative treatment that the physiotherapist Melbourne will carry out. In fractures with conservative treatment, the person will be immobilized, approximately six to eight weeks. During this phase, physiotherapy can be included to avoid complications. 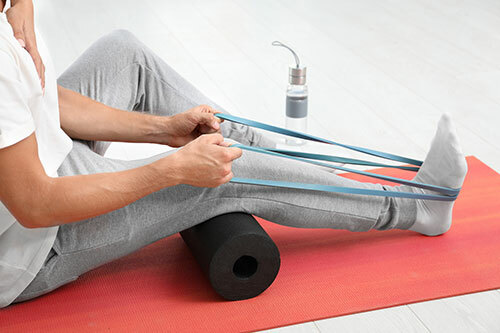 It is advisable to massage to promote venous return in the healthy leg and in the free part of the affected or mobilization and strengthening exercises to avoid the loss of mobility and muscular strength of the joints not involved. After the removal of the cast or splint, the main objective will be to recover the mobility and readjustment of the march. In physiotherapy after an ankle fracture can be included many manual techniques, but it is necessary to give special importance to the therapeutic exercise thanks to which the patient will improve their balance and proprioception , recover the strength lost during the immobilization as well as the flexibility of their musculature , which will allow you to walk again normally. In the case of patients who require surgery, the objectives will be the same but the times will vary. There is usually an initial period of two or three weeks of immobilization with a plaster splint so that the osteosynthesis and the wound heal well. After overcoming this first phase, the plaster is replaced by an orthosis that can be removed and with which the support will be progressively started after the first month after the operation.